To mark the fifth anniversary of the death of Dr Kalim Siddiqui, we published an abridged extract from a paper by him in our last issue. In this issue, we reprint an article by Dr Siddiqui first published in Crescent International exactly 15 years ago (May 1-15, 1986). History does not tolerate those who attempt to take short-cuts. The path of history is strewn with the corpses of those who attempted to get there by the back door. This has been a persistent theme of mine, in writings, in speeches, in lectures and in private discussions for more than two decades. History does not tolerate those who attempt to take short-cuts. The path of history is strewn with the corpses of those who attempted to get there by the back door. The last time I discussed it in this column was in the Crescent International (October 16-31,1985). In that article I described an informal meeting that was held in London in August last year immediately after the Muslim Institute’s world seminar. At that meeting we came under pressure to take steps to set up a central body of the global Islamic movement. 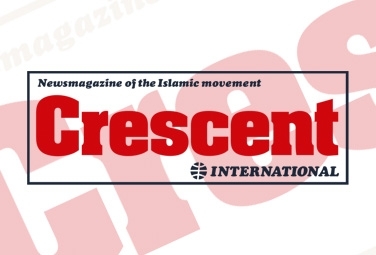 My position was summarized in the Crescent International headline: ‘History demands patience, the greatest virtue, and a great deal of it’. Since then I have travelled extensively in Europe, Iran, India, Pakistan, Egypt and the United States and Canada. Everywhere I met some of the most dedicated workers that the world of Islam has ever produced. Most of them are young men and women. They come from diverse social backgrounds and from all schools of thought in Islam. What they have in common can be stated briefly: they all support the Islamic Revolution in Iran; they have an unshakable belief in the unity of the Ummah; and they accept that only a global Islamic movement can lead to similar Islamic Revolutions in all parts of the world of Islam. They are also convinced that, apart from the rulers and their civilian and military establishments, the Muslim masses everywhere want ‘Iranian-style’ Islamic Revolutions to sweep through the Ummah. There is one quality common to them all – they are impatient; they want quick results; they want to sweep away the garbage of history as soon as possible. This is where they are wrong. The garbage of history can only be swept away over the time-scale of history. Similarly, ‘Iranian-style’ Islamic Revolutions cannot be brought about by trying to emulate Iran from 1978 onwards - mass demonstrations and defiance of overwhelming power in the streets leading to the fall of the established order. What happened in Iran in 1978-79 had roots going back at least a hundred years in Iran alone and several hundred years in the history of Shi’i theology. Much time, it is true, was taken up in overcoming the inhibitions in Shi’i history, thought, and theology in matters of the exercise of political power. Even now, more than seven years after the Islamic Revolution, some of these issues remain contentious even in the Shi’i religious hierarchy. While Sunni theology does not suffer from such inhibitions, Sunni political thought remains essentially rooted in the ideas of Al-Mawardi, Imam Ghazali and Ibn Taymiyah. Besides, the ijtihad that was necessary for political rejuvenation after the colonial period has not yet been undertaken by Sunni ulama. Some brave attempts by such men as Jamaluddin Afghani, Muhammad Abdu, Rashid Rida, Hasan al-Banna and Abul Ala Maudoodi fell far short of the total worldview that Imam Khomeini was to capture and launch into a powerful world movement from Iran. In this situation the impatient but highly dedicated young men and women in all parts of the world today have to face some difficult choices. If they want that a global Islamic movement should immediately challenge the established order of the post-colonial nation-States then they must accept the leadership of the ulama of Iran and they must accept that the Islamic State of Iran must lead the global Islamic movement. In this way the experience and the vision of the ulama, the people and the Islamic State of Iran become immediately available to the Ummah as a whole. The alternative is that we wait and allow the ulama of all parts of the world to recover from their colonial stupor in their own good time. To do so would probably postpone pressing issues for a generation or more. This is clearly unrealistic. Yet nothing can be achieved without the emergence of a body of ulama in all parts of the Ummah who have the commitment to their respective peoples to revolutionary change. The difficulty is in fact more apparent than real. The fact also is that there are many ulama among those impatient for Islamic Revolution in many parts of the world. Such ulama, in partnership with the ulama of Iran, and drawing on the vast experience of Iran, can in fact lead the Muslim masses to successful Islamic Revolutions everywhere in a relatively short time. This fusion between the ulama of Iran and the revolutionary ulama outside Iran remains to be achieved. There are some difficulties on both sides. The institutional arrangements and channels of communication that would be needed to achieve this degree of operational fusion among ulama of different backgrounds have yet to be created. The participation of the Islamic State in the Islamic movement outside Iran will also require new arrangements within the bureaucracy in Tehran. The experience in Lebanon suggests that such revolutionary institutions as the Sepah-e Pasdaran-e Inqilab-e Islami, the Jihad-e Sazindagi and the Bunyad-e Shaheed would be more suited for this role than the traditional bureaucracy inherited from the ancient regime. This is an area in which the top leadership in Tehran and Qum has to do a great deal of thinking and homework. The new revolutionary Islamic movement that is emerging outside Iran also has some very difficult problems to overcome. The greatest of these is that of leadership and organization. It is now recognized by everyone that the Islamic movement cannot be a political party. The role of the political party, even when it is called ‘Islamic’, is essentially divisive. No ‘Islamic’ political party in the colonial and the post-colonial phase has achieved anything worthwhile in any part of the world. Political behaviour of the ‘Islamic’ political party and its members always tends towards the secular, opportunistic and mundane. This has led ‘Islamic’ parties in Egypt, Sudan, Syria, Pakistan, Bangladesh, Malaysia and elsewhere to seek political alliances with secular rulers and other secular parties. In Syria an Ikhwan group even entered into a ‘national alliance’ with a faction of the Ba’ath Party! On these and many other grounds it is now clear that the political party framework is quite unsuited to the Islamic movement. 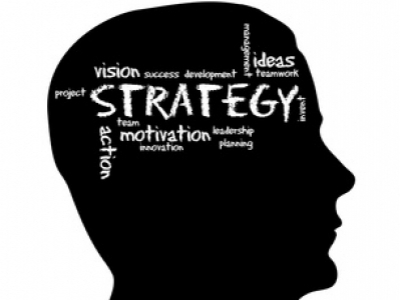 What, then, should be the organizational structure of the Islamic movement? Is there an answer to this question in the Qur’an? Does the Seerah of the Prophet, upon whom be peace, offer an organizational structure to the lslamic movement? Perhaps an answer does exist but is not immediately obvious to us. On this and many similar issues we are spiritually and intellectually confused. The political experience of the Ummah before the colonial period is largely dynastic and therefore deviant. This long period of our history is of little assistance in answering the vital questions of leadership and organization today. The earliest experience in the relatively short era of the ‘Rightly Guided’ khulafa and the leadership of the Imams of the Ahl al-bait, especially the example set by Imam Husain, provide a solid foundation. In modern times, the Islamic Revolution in Iran is the only example of a successful ‘Islamic movement’ that has defeated the power of kufr in one country, abolished the post-colonial order, and established an Islamic State. The issues that we face today are concerned with the globalization of the modern experience of Iran. The vehicle of this globalization of the Islamic Revolution has to be the global Islamic movement. The achievement of this Islamic movement, in all parts of the world remains problematical. The issues and problems involved in this crucial phase of our history are being discussed among small and large groups everywhere. The time has come when these discussions should move to a more structured and formal stage of consultation. Until these issues are resolved, and all the indications are that these issues will be resolved only slowly over a period of time, patience, sabr, and a great deal of both will be required by everyone everywhere. There are, as I said before, no short-cuts in history!